The life of every party is in the people that attend. 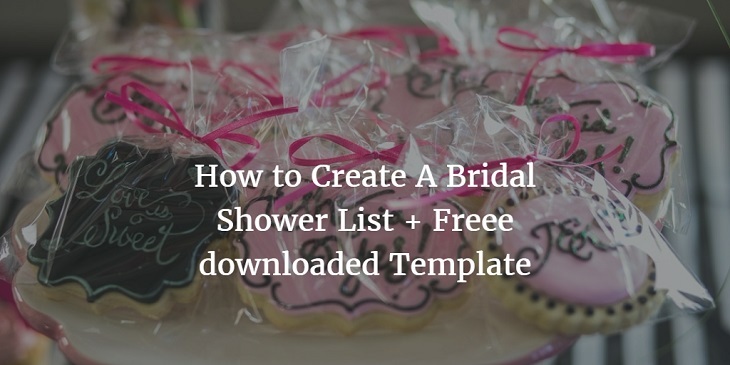 Today, we are going to learn how to create a guest list for your bridal shower. Bridal shower is one of the most interesting build-up to any bride’s wedding. A lot of things can make or break your bridal shower party and one of them is the quality of people you invites. While inviting people may not seem a great deal, getting organised around it is important and that is why today we are going to learn how to create a bridal shower guest list using our good old friend Microsoft excel. If you are like me, you can skip the stage below and simply download the free template. Before we start, what is a bridal shower list and who should be on the list? A bridal shower gathering is a party that includes the closest associate of the bride. A bridal shower guest list is a list containing the bride’s attendant, personal friends of the bride and family. Now, let’s create our bridal shower guest list. If you are saddled with planning your friend’s bridal shower, you will immediately realise that deciding on the people to invite and the number is not an exact science. As a rule of thumb, the number of people invited to a bridal shower should not be more than 20. Also, avoid inviting people who you know will not be invited to the wedding and finally, make sure the bride is aware of everyone who is invited to the party. After all, it is her party and you do not want to throw a “pleasant” surprise on her. There are lots of information you want to keep about your guest but from experience, the following are some of the most important ones you should keep. 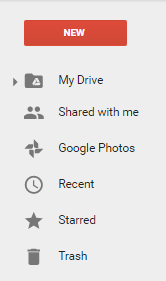 Basically, you have two option for storing your document. You may decide to store it online which means you will have to create it using the online version. The other option is to create it on your local system using your Microsoft Excel application. Either option gives yo the same end result but you can always access one online anytime you want. 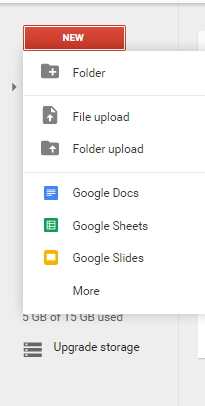 I will be creating my template using Google doc so you can easily download the template. Now it is time to fill in all the headers we listed above. By the time you are done, your sheet should look like mine. We want to ensure that we know what information we are filling into the different column so we are going to keep the header fixed. Click on View and use the freeze menu to keep the upper row in place. 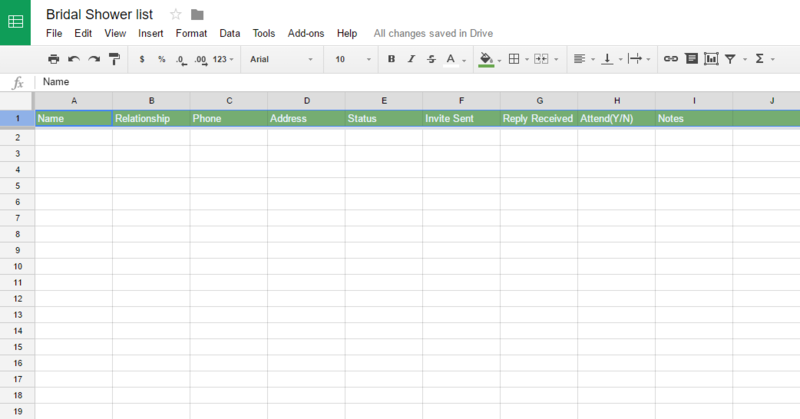 Now populate the excel sheet with your information adding appro[iste information in the “notes” column. Now that you have your guest list figured out and properly planned, it is time to send out those invitations. Not sure where to start, check out our invitation section for ideas. Why do people go to weddings? How many wedding takes place in Africa annually and what is the average cost of weddings in Nigeria? The wedding ceremony is usually a big one in Africa and most especially Nigeria. How many wedding takes place annually? What is the average cost of a wedding in Nigeria and most importantly why do Nigerians attend weddings? If you have read our interesting wedding facts, then you will be interested in this infographic where we share some Nigeria and Africa wedding statistics. Love it? Then grab your code to share it. I bet you, you simply have no idea that these traditional wedding facts exist. Check out this infographic . Indian– Bride’s sister or cousins steals the grooms shoe while he was intend the temple attending his wedding. He usually ransoms them back. Hmm! What a way to test the negotiation skills of the man and still have fun while doing that. Denmark– The groom’s socks is cut off while being hosted in the air. This is to represent his sign of fidelity. Peru– Remember the throwing of the flower after the bride’s wedding to see who catches it first? Read how it is been done in Peru. Malaysia– Couple does not use the toilet for three days. Breaking it may mean bad luck to the newly wedded. Sweden– Fancy the bride or the groom? Get them to get married in Sweden and you can steal a kiss officially. It is no crime. South Africa– Salt, pepper etc are given as symbolic items during the traditional wedding. Ireland– Straw boys visit the ceremony to dance with the couple and shares jokes. They do this dressed in straw costumes. Germany– Both couples are giving a saw to cut through a log together. There you have it. Funny traditional wedding facts from around the world that are true. Now it is your turn, tell us how traditional marriages are done in your region? Imagine this. Your best friend is getting married and you are the maid of honor or one of the lucky ladies on the bridal train. Hurray! It is an honour and privilege but as part of the bridal party, you are saddled with a lot of responsibility and functions. One of such responsibility will be to organise the hen night for the bride to be. Hen night, loose night or bachelorette night is usually a great time for the bride to be to have “one last fun” before the wedding. I love wedding! It is interesting to see newly wedding couple work down the aisle and all the glamour plus fun in it can really make you go awwww. 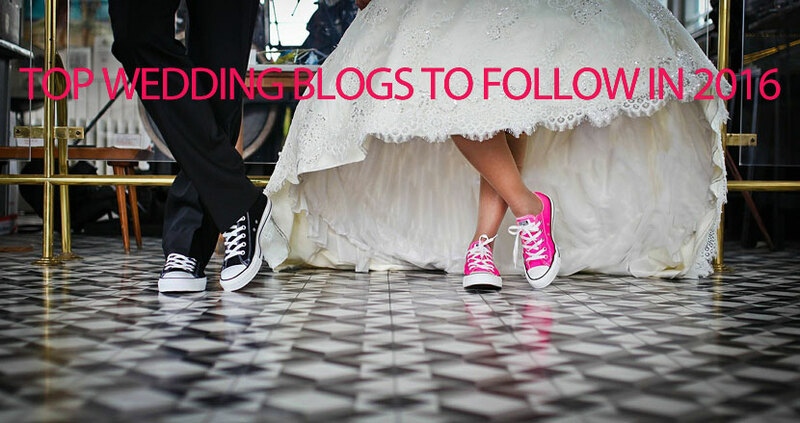 Wedding is great and so today, we take a step back and look at some interesting wedding facts that you should know. Do you know that the reason why a woman is placed on the left side of a man during the wedding is because in pre-historical times, men have to place their sword in their right hand to defend their bride in case of a battle? Dowry has it’s place in history. In the past, the father of the bride usually pays dowry when his daughter is been married off. The most expensive wedding gift cost about $4million.